This one goes out to all Trainers with a technical background. Yesterday, Niantic announced a developer contest called Beyond Reality Developer Contest that offers a chance to win a share of the prize pool worth more than one million USD. 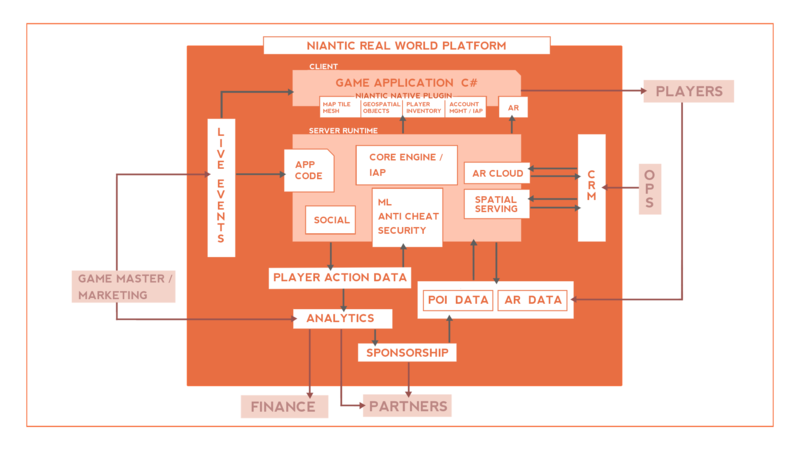 The contest challenges teams to build “an impactful geospatial AR play experience with the Niantic Real World Platform“. Per the rules listed in the link above, the Contest phase began on December 20th at 12:00 A.M. Pacific Time (PT) and will run through to September 6th, 2019 at 5:00 P.M. PT. Any teams must consist of 5 members and have an appointed team leader. Surprisingly, the finalists will be brought to San Francisco/Bay Area to meet with executives and lay the groundwork for the work to come. All of the travel expenses, including a stipend for the time being in San Francisco, is covered by Niantic (roughly $70,000 USD per team). These team prizes will be split equally amongst all Developer team members, with each individual team member receiving personal payments of their share. The quality of the code can’t really be inferred from a diagram, but given the amount of features that the Real World Platform offers, it sure looks impressive. We wish all the best to contest applicants – may the best AR team win! The post Niantic announces a developer contest worth one million dollars appeared first on Pokemon GO Hub.